Get the head of any animal or mob. 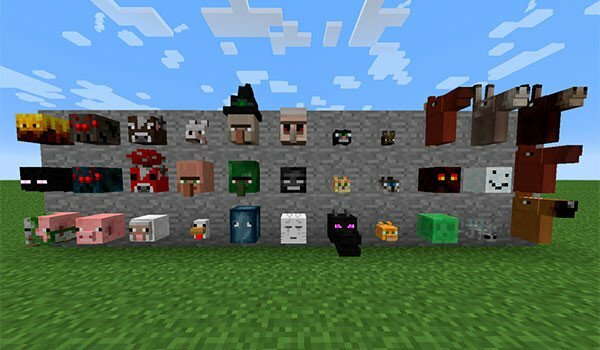 Headcrumbs 1.7.10 is a mod that allows us to get the heads of all animals or Minecraft mobs after killing them but not all the times it depends on the provability. Not always you will have the luck to get its head. These heads can be placed anywhere as a decoration or use it as if it were a helmet, although it won’t not provide any defense, is simply an aesthetic function, allowing us to have the head of any animal or mob . Also, if we have any mod that adds animals or enemies, we can also get their heads. You will also be able to wear the heads of lots of youtubers!. How to install Headcrumbs Mod for Minecraft 1.7.10?